Summary: Is Revelation 13 saying that real fire will come down from heaven? Or what is the symbolic meaning of the prophecy? This article is part of a series. We recommend that you first read: , The Final Confederacy of End-Time Babylon. And [the second beast] doeth great wonders, so that he maketh fire come down from heaven on the earth in the sight of men, And deceiveth them that dwell on the earth by the means of those miracles which he had power to do in the sight of the beast; saying to them that dwell on the earth, that they should make an image to the beast , which had the wound by a sword, and did live (Revelation 13:13-14). The United States certainly has the capacity to make fire come down from heaven in a military capacity, but these words have a spiritual connotation as well. When Elijah told the children of Israel to choose between the God of heaven and Baal, the contest was to be decided by which god would rain fire from heaven (1 Kings 18). We know that the God of Israel displayed His power to prove that He was the true God. Satan would have loved to rain fire on that occasion, but God curtailed his power. At the end of time, there will once again be a decision to make. Perhaps fire will come down from heaven, but the verse says it will be a deceiving fire, which means it will not be from God. When this fire comes, the truth of God’s Word will be the only thing keeping God’s people from being deceived. When Satan tried to deceive Christ by misapplying Scripture, Jesus answered him with more Scripture (Matthew 4:1-11). Christ has already made all things plain in His Word. He has given His Holy Spirit to us to lead us into truth, and there will be no need for Him to prove anything through manifestations. If people do not want to believe the plain statements of the Word, Christ will not force them. One of the three components of the end-time Babylonian confederacy is the False Prophet representing the false holy spirit. In Scripture, fire can signify the Holy Spirit. Pentecost is a prime example of this Holy Spirit fire. As the disciples were praying together, flames of fire settled on them, signifying the outpouring of the Holy Spirit that would empower them to preach the Gospel in the power of God. It is very possible that the fire from heaven will be an outpouring of the false Holy Spirit that will deceive people into accepting Satan’s lies. When religious and political leaders witness the miracles of the false Holy Spirit, they will be convinced that they are dealing with the power of God. This has already happened with the Toronto Blessing and charismatic movement in both Catholic and Protestant Churches. In fact, speaking in tongues or laughing in the Lord is considered a sign of one's spirituality. Weeping statues and apparitions are also seen as a sign of the presence of God. 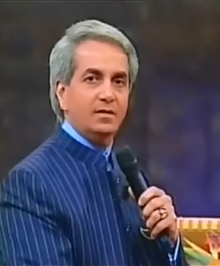 As we can see in the following video clip, preacher Benny Hinn claims to have God's power to heal people, and even claims to have seen Jesus. The vision Hinn describes sounds a lot like the New Age Maitreya. Through these many signs, wonders, and ecstatic experiences, the world is being set up to receive the false Christ, or Maitreya, and the one world religion known in the Bible as "Babylon." A foreshadowing of these events is already taking place around the world. There have been a great number of signs and wonders taking place within Catholicism, the New Age movement, and some even in Islamic locales. 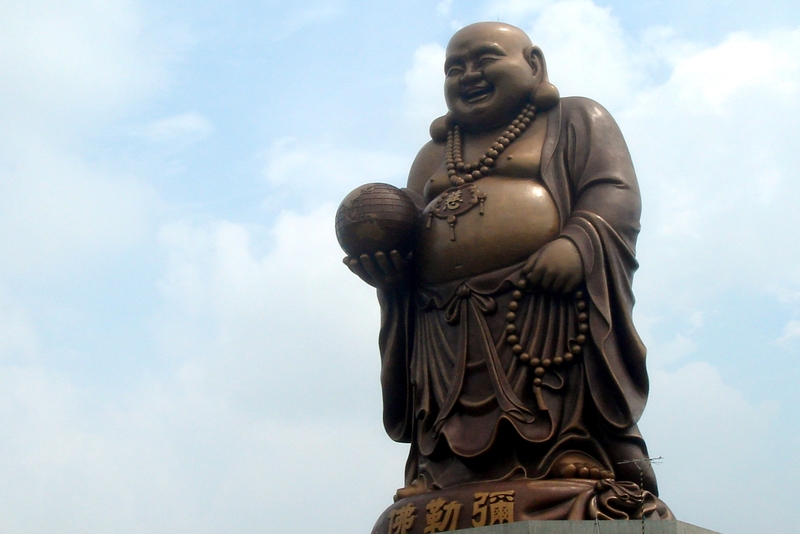 Appearances of someone who calls himself Maitreya, and claims to be Jesus, have also taken place, accompanied by miracles of healing and other wonders. Many of these events have also taken place in Catholic circles. The false holy spirit can easily manifest itself anywhere, as the belief in Maitreya, or the Christ, is found in many religions. As we have seen, the False Prophet is already doing its work. Whether it is appearances by the Maitreya around the world, or simply ecstatics in the form of tongues or laughing in the Lord, the same deceptive spirit is moving in all of these occurrences. 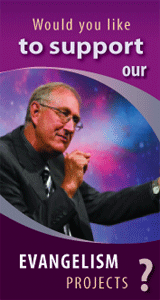 Read about the unity of church and state that is already occurring in the US. i. Virginia Essene, New Teachings for an Awakening Humanity (Share Foundation/SEE Publishing, 1995): 22.